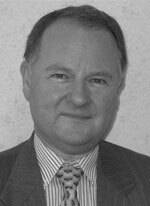 Bernard qualified in medicine in 1978 and obtained his general gynaecological and obstetric training in Liverpool, gaining the MRCOG qualification in 1984. He then worked in Watford and the Middlesex Hospital before researching reproductive medicine (including IVF) at the Royal Free Hospital. He was a leader in developing ovarian stimulation for IVF in the 1980’s. He then worked in Leicester for 3 years setting up the NHS IVF service before being appointed as a Consultant in Shropshire. His main areas of interest and expertise are fertility investigations and treatment, IVF/ICSI, fertility surgery, reversal of female sterilisation, surgical sperm retrieval procedures, polycystic ovarian syndrome, investigation and management of heavy and painful periods, including endometrial resection (TCRE), treatment of fibroids, endometrial polyps and endometriosis and finally menopausal problems. Bernard has a person centred approach, involving his patients in the decision making process regarding their care and responding to their individual needs. Mr Bernard Bentick does not hold a share or financial interest in this hospital, another Nuffield Health hospital or the company. Mr Bernard Bentick does not have a share or financial interest in equipment used at this hospital or another Nuffield Health hospital. Mr Bernard Bentick does not hold any paid advisory role(s) at this hospital or on behalf of Nuffield Health.